High quality AV systems can help create seamless broadcasting, allowing an audience to focus on the message being presented with perfect clarity and without distractions. The key to fulfilling your broadcast needs is picking the right AV integrator. 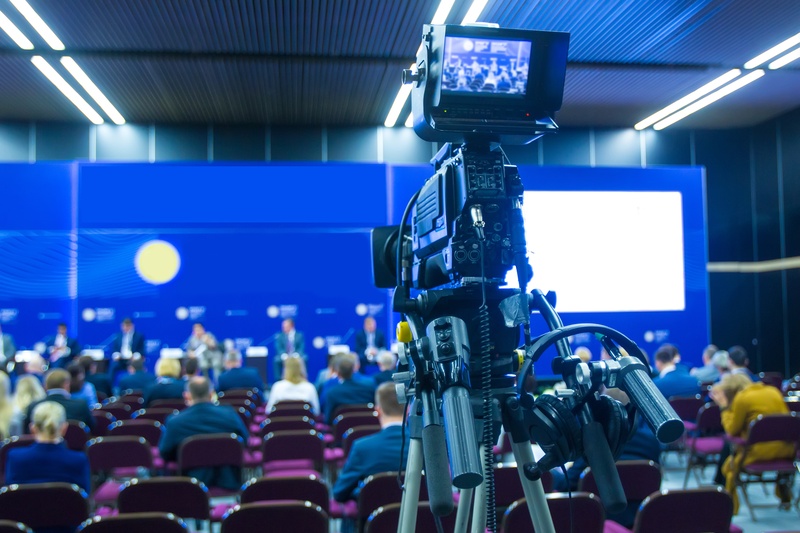 Knowing what to look for in an AV integrator for your broadcast needs is the first important step in organizing flawless conferences and meetings. Getting clear on the purpose of those meetings, identifying priorities, and reviewing your existing system allow your chosen AV partner to help identify your broadcasting needs. In turn, they can offer solutions that add value to your project. Two or more heads working as a team often do the job better than individual members each working on their own, no matter their expertise in their own fields. And there’s no harm in digging deeper and conducting a discovery interview with the key stakeholders of your AV integrator candidates, such as project managers, engineers, account executives, service team, and if possible, upper management. Ask probing questions to get as much information as possible in clear detail. What services do they offer that match your needs? Are their technical engineers certified and their teams trained? How do they manage change orders? What's their track record in implementing safety procedures? How well does the team work together and how long have the members been working together? Vague answers should raise red flags and require more digging—or signal that it's time to move on to the next candidate. Finally, are they partners or vendors? Remember, you’re looking for an AV partner with whom you can build a long-term relationship, not an AV vendor who may treat your project as just another sales opportunity. Audiovisual is just one of many systems in your vast organizational infrastructure. AV systems are technically complex. If there are no highly skilled, in-house experts to manage them, it can be difficult to foresee, detect, and solve issues. This dire AV state often results in compromised communication and collaboration, reduced efficiencies, diminished brand reputation, and hits to the bottom line. Audiovisual technology takes on the complicated digital characteristics of the IT world. With that in mind, the in-depth knowledge and experience of AV experts is extremely valuable. AV businesses focus on everything AV and how the technology integrates with various IT systems. From deployment toward a fully engineered system to project management toward a flawless interface with a multitude of disciplines, well-established AV integrators have no shortage of expertise. And technology is only half of the equation; a commitment to the project from start to finish, including a provision for remote management, scalability, upgrades, and post-installation support, completes the equation. Not all pieces of equipment work well with every application, installed space, legacy system, and user group. In the complex audiovisual industry, technical interoperability is the ideal for modern AV systems at every level of the IT infrastructure. For example, AV integrators should be able to determine the impact to their customer’s network when different AV devices are distributed over various layers of the infrastructure. Securing devices and individual users is also a critical function that an AV system should address. Room, space, and user compatibility is yet another important detail that must be coordinated by the AV engineer and designer. Is the ceiling array microphone obstructed by an HVAC vent or ceiling fan to ensure high quality audio, for instance? Are the cameras properly located? Does the equipment rack fit in the sideboard? Is the room well ventilated to safeguard equipment performance? These are top of mind questions for any savvy AV integrator. Different products from different manufacturers have different levels of compatibility with different systems. That’s one more reason why working with the right AV company is so important. Whether customers need equipment or services for video conferencing, screen sharing, interactive whiteboards, digital signage, microphones, speakers, and switches, requested as complete AV packages or just AV components, a well-established AV company should have it.